By the time we get wrinkles and grey hair, sayings like "age is just a number" start to sound a bit rosy. But on a biological level, there's no doubt that some people age at a slower rate than others – and not just because they won the genetic lottery. Elizabeth Blackburn, a Nobel Prize-winning scientist who peers deep into human cells, insists that we have some control over how fast we decline. How we eat, move, think and feel can either help keep our cells healthy or put them into early retirement, according to a growing body of research cited in her new book, The Telomere Effect: A Revolutionary Approach to Living Younger, Healthier, Longer, published earlier this month. How our cells age, it turns out, largely depends on the length of our telomeres, the protective caps at the ends of our chromosomes. Tucked inside every cell, chromosomes carry our genetic information and help ensure DNA is accurately copied every time a cell divides. If chromosomes were shoelaces, telomeres would be the plastic tips that keep them from fraying. But telomeres shorten with each cell division. And when they get too short, cells lose their ability to divide and renew the body tissues that depend on them. A lack of new cells in the walls of our blood vessels, for instance, could lead to hardening arteries, increasing the risk of heart attack. The good news is that telomeres can lengthen, too. In 2009, a trio of molecular biologists – Blackburn, Carol Greider and Jack Szostak – won the Nobel Prize for decoding the molecular nature of telomeres and discovering an enzyme called telomerase that can replenish them. Building on their research, hundreds of studies from around the world have shown that changes in diet, exercise and mental health can either deplete our telomeres – putting us at increased risk for disease – or protect them from premature wear. But these findings have barely trickled down to the public, Blackburn says, in part because the field of telomere research is so new. Blackburn hopes to change that with her layperson's guide to healthy aging, co-authored by Elissa Epel, a professor of psychiatry and director of the Aging, Metabolism and Emotions Center at the University of California, San Francisco. Despite its dramatic title, much of the book echoes the sensible recommendations we've been hearing for years: exercise; eat more fruits and vegetables; reduce mental stress. What sets it apart from other healthy-aging guides is the rigorous, peer-reviewed research underpinning each habit. "None of them are miserable," Blackburn says, adding, "we aren't proposing anything weird that doesn't have good reason already." Instead of repeating the usual recommendations, such as "get plenty of rest," the authors offer specifics: "Seven hours of sleep is the cut-off for telomere health." Nevertheless, critics may chastise the book for hinging on just one theory of aging. Other prominent theories include the idea that aging results from oxidative damage by free radicals, the toxic byproducts of normal cell metabolism that erode DNA, vital proteins and the cell's energy generators, called mitochondria. Blackburn and Epel acknowledge that telomere shortening is but one factor in aging. "But it's an important one," Blackburn adds. In human studies, "it's very clearly predicting mortality and it's very clearly causally involved," meaning that telomere shortening likely contributes to the most common chronic diseases. Regardless of whether telomere science holds the secret to healthy aging, the authors' tips are compatible with strategies known to support overall health, and do not include fringe practices with unproven benefits. Here are five takeaways from the authors' telomere-based longevity program. Aerobic exercises have a positive effect on the body’s telomerase activity. In a German study published in 2015, resistance exercise, such as weightlifting, had little effect on telomerase, the enzyme that replenishes telomeres. But over a six-month period, two forms of aerobic exercise increased telomerase activity twofold. One was moderate exercise, such as light jogging or fast walking, performed three times a week for at least 45 minutes. The other telomerase-friendly workout, also performed three times a week, was high-intensity interval training, consisting of a 10-minute warm-up, four alternating intervals of fast and easy running (at three minutes each) and a 10-minute cooldown. Those of us with high-stress lives need exercise the most, according to research by Blackburn and Epel. "We found that if somebody was stressed, then exercise had twice as good an effect on telomere maintenance as for somebody who was not stressed," Blackburn says. But gruelling exercise may offer little added benefit. In a separate study, runners who logged about 16 kilometres a week had similar telomere lengths to those of ultrarunners. Rapidly increasing and decreasing weight can have a negative effect on telomeres. In fact, repeated weight loss and weight gain (yo-yo dieting) appears to shorten telomeres. 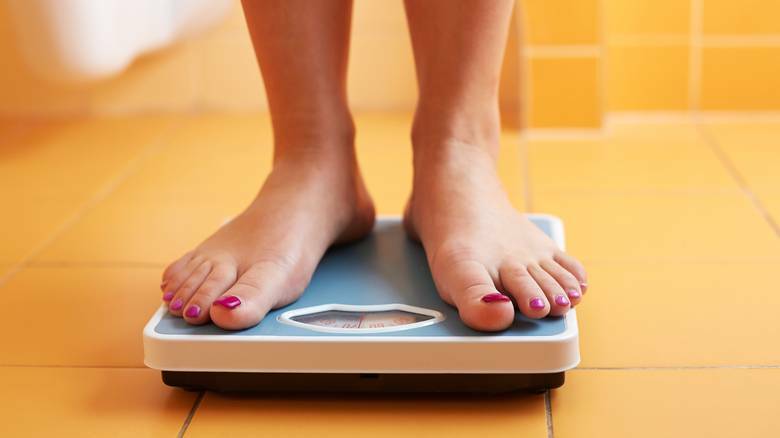 Instead of focusing on the numbers on the scale, the authors write, we should take steps to reduce excess belly fat (as opposed to fat on the hips and thighs) and improve our metabolic health. One way is to lower our sugar intake. While the war on sugar is nothing new, telomere science quantifies the degree to which excess sugar consumption shortens lives. In a 2014 study of 5,000 Americans, people who drank 590 millilitres of sugary pop a day had the equivalent of 4.6 extra years of biological aging (as measured by telomere shortness) compared with those who did not. Americans who drank 237 millilitres of pop daily had telomeres the equivalent of two years older. The link remained even after researchers ruled out other factors, including diet, smoking, income, age and body-mass index. Omega-3 fatty acids, like those found in fish, help maintain telomeres. All are sources of omega-3 essential fatty acids, linked to longer telomeres. In a 2010 study, researchers from the University of California, San Francisco, tested blood levels of omega-3s in 608 middle-aged patients with heart disease. The higher their blood levels of omega-3s, the less their telomeres shortened over the next five years. Of those who had telomere shortening, 39 per cent died in the next four years, according to a follow-up report. Of those whose telomeres appeared to have lengthened, 12 per cent died – a significant difference considering that all participants had heart disease. Another way to feed your telomeres is to eat plenty of whole grains, vegetables, fruit and nuts – basically, the Mediterranean diet. Foods associated with shorter telomeres include the usual suspects: sugar, processed meats, white bread and pastries, saturated fat, omega-6 polyunsaturated fats and excess alcohol (more than four drinks a day). Meditation may help strengthen telomeres, which can be harmed by depression, stress and anxiety. In a 2015 study of nearly 12,000 Chinese women, depressed women had significantly shorter telomeres than women who weren't depressed. Chronic depression appears to be the most harmful. In a 2014 study of nearly 3,000 Dutch people, researchers found that the longer and more severe the depression, the shorter the telomeres. Anxiety, pessimism, hostility, mind wandering and rumination have also been linked to shorter telomeres. Fortunately, practices known to help us break these mental habits may help lengthen telomeres. In a 2012 study, researchers divided 64 people with chronic-fatigue syndrome into a control group and a group who learned qigong, a Chinese practice that emphasizes meditative movements and breathing. After four months, participants who practised qigong had significantly greater increases in telomerase activity, and reductions in fatigue, than those not doing qigong. A separate study, published in 2014, evaluated the effects of mindfulness-based stress reduction (MBSR), a program that teaches people to pay attention to their breathing and the flow of their thoughts. Of 142 women with breast cancer, those who practised MBSR for three months showed increases in telomerase of 17 per cent, compared with the control group. Other mind-body practices, such as yoga and tai chi, may yield similar results in future studies, Blackburn and Epel write. Beware of pills, creams or injections that claim to boost telomerase and thereby restore your telomeres. If telomerase supplements actually worked – and that's a big "if" – they could endanger your health, Blackburn and Epel say. Adding too much of this enzyme in the wrong cells at the wrong time could trigger the kind of uncontrolled cell growth that leads to cancer. Cancer, after all, results from cells that won't stop dividing. There is a big difference between the body's normal response to healthy lifestyle changes and the unknown effects of artificial or "plant-derived" telomerase, the authors write. Blackburn and Epel also note the downsides of trying to track your telomere length. Commercial telomere tests are unregulated, expensive – ranging from $250 to $500 (U.S.) – and cannot reliably predict longevity at the individual level. Moreover, learning that you have short telomeres could provoke anxiety, known to decrease telomere length. Since it can take months or years for telomeres to change significantly, the authors write, we should focus on maintaining healthy habits rather than obsessing about telomere length at any one point in time. "It's a long-term project and it's all about stability over years," Epel says, "but that does start with what you do each day. Each day matters."